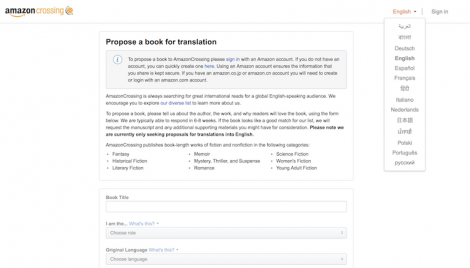 Amazon Crossing is the Amazon publishing imprint dedicated to translating non-English books into English. 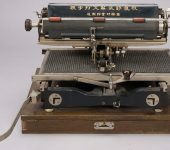 In just a few years it has grown to be a leading translator of literary novels. The gateway is (sadly) missing a globe icon — though I suspect the Amazon Crossing logo is partly to blame (one globe too many perhaps). 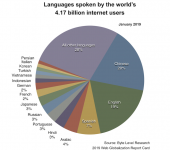 Other languages supported include Arabic, Portuguese and Russian. 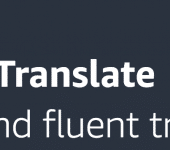 What’s interesting here is that the language mix is noticeably different on the Amazon.com site. 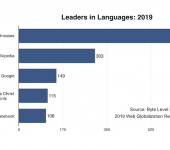 Both Amazon.com and Amazon Crossing support 13 languages in addition to English as noted in the 2017 Report Card, which means Amazon still has a long ways to go before it competes with the leaders in languages. 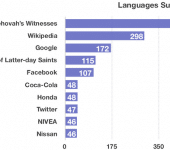 Here is the average number of languages supported by the leading global brands over the past seven years. But what I wanted to call attention to is Amazon’s uneven support for languages across its different products and services — a phenomenon that is not unique to Amazon. 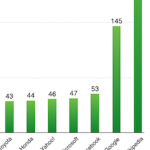 Many multinationals I work with support different language mixes for different properties. 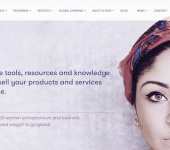 The rationale is sound: Different products and services have different audiences, marketing strategies, global and regional partners, and local opportunities. But how do you balance an uneven language strategy with a consistent global content architecture? For example, let’s say you have one product page localized into Russian and a visitor to that product page goes to the global nav menu and selects another product, naturally assuming this other product also is also localized into Russian, only to discover it is not. This problem is only going to grow more acute as more companies decentralize their global product content and marketing strategies. Of course, every challenge is also an opportunity. Where companies can differentiate themselves is in how effectively they manage user expectations, manage language expectations, and how they leverage machine translation to fill language gaps. 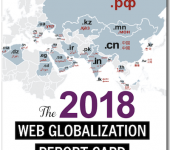 To learn more about which companies are doing the best job at managing language expectations, check out the Web Globalization Report Card.